Lutein is the active carotenoid in this potent, natural source antioxidant. It is naturally derived from marigold flowers and contains a normal blend of carotenoids including: Zeaxanthin and Cryptoxanthin. Suggested Use: As a dietary supplement, take 1 softgel daily, preferably with meals. 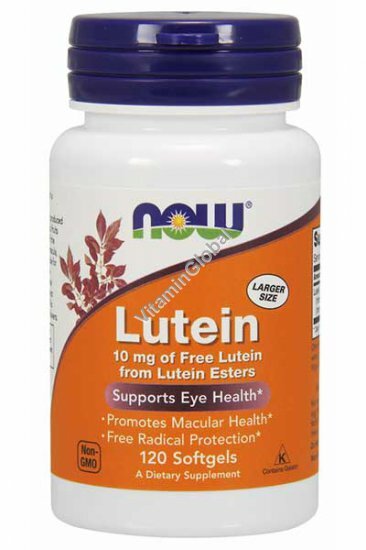 Lutein is a primary nutrient in NOW® Dr. Recommended Eye Support Formula. Xangold® is a registered trademark of Cognis Corporation.